Paris, France - A policeman was hurt by a cherry bomb as youths rioted in Paris today. 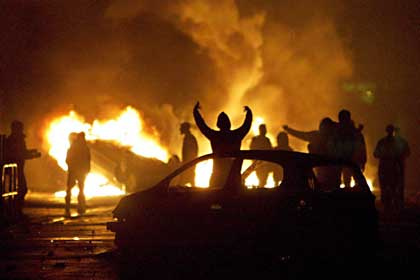 Sixty cars were burned and thirty trash cans were set on fire as the riots moved across the city. The disturbance coincided with Bastille Day.